The words “switch god” are thrown around a lot these days. That’s not to say that everybody awarded with that hashtag doesn’t deserve it, but I’d be remiss if I didn’t suggest that Chad Tim Tim may predate the vast majority of our ambidextrous idols. From the dying embers of New Deal to the criminally ephemeral magic of Popwar, Chad was making skaters second guess his natural stance long before he found a home at Element. While Chad has blessed every team video with ambidexterity, style and technical wizardry, I’m probably not alone in naming Time to Shine as my favorite of his video parts. Chad’s Time to Shine part breaks past the typical binary emotional reaction to skate videos—i.e., either (0) it makes me want to skate or (1) it doesn’t. He embraces both a refreshingly candid intro and the (perhaps paradoxically) upbeat song, “No Sugar Tonight” to create a video part that makes you remember just how emotionally satisfying skateboarding can be, even if it comes at the expense of more lucrative and/or socially acceptable norms. Of course, it also doesn’t hurt that he was switch crooking the top level of the Belmont benches long before anybody else. As the new year is upon us, many of us are in the throes of our New Year’s resolutions. While some of us may have a goal of learning a new trick or finally adopting the responsibility exhibited by Chad in the intro to his Trio part, my resolution has been to start cutting out refined sugars from my diet—i.e., less granulated sugar, agave, maple syrup, rice syrup, etc. While most of the recipes I make are painstakingly healthy, this resolution has forced me to get a little more creative when making something sweet, as any sugar in the recipe must come from fruit instead of a bottle. Because the theme of my resolution smacks of Tim Tim’s Time to Shine song, “No Sugar Tonight,” I decided to reach out to the O.G. switch god and see what tickled his fancy that I could also make without any added processed sugars. 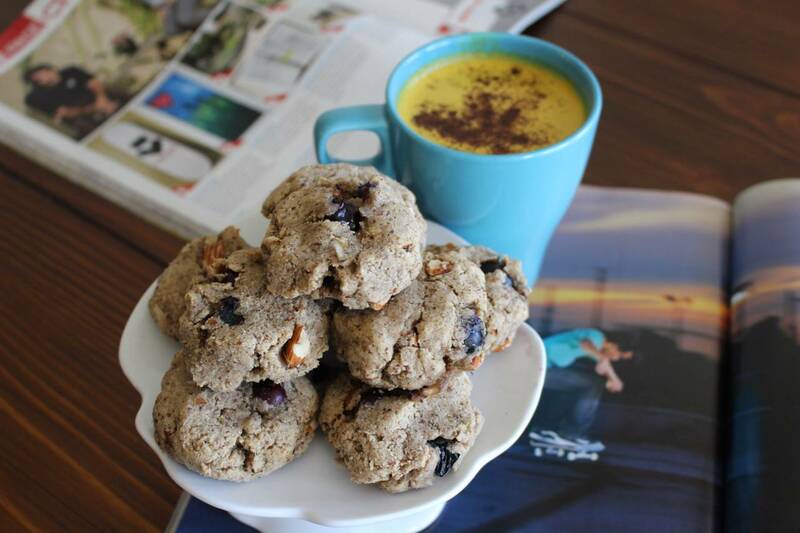 Chad—very much in line with the wholesome image I expected—admitted that he is a sucker for fresh baked cookies and caffeine-free turmeric lattes. With that in mind, I set out to make a version of each that avoided agave or maple syrup, as one would typically expect to be in those recipes. 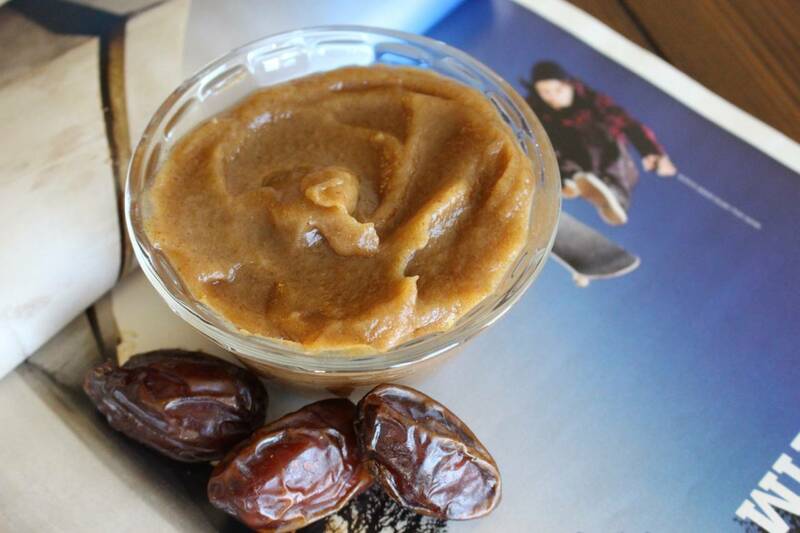 My wife has made it abundantly clear that the words “date paste” sound almost vomit-inducing. That said, a rose by any other name would have just many benefits over traditional sweeteners, including ample fiber, potassium, magnesium and vitamin B6. Suggested to be perhaps the world’s healthiest natural sweetener, blended dates are a welcome substitution for processed sugars and stevia. 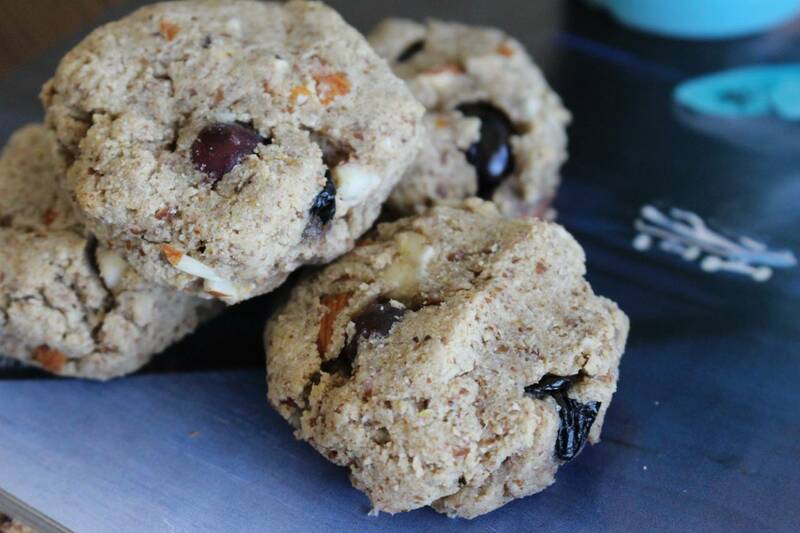 When added to cookies in place of processed sugar, the result is a healthier—but still irresistibly delicious—cookie. 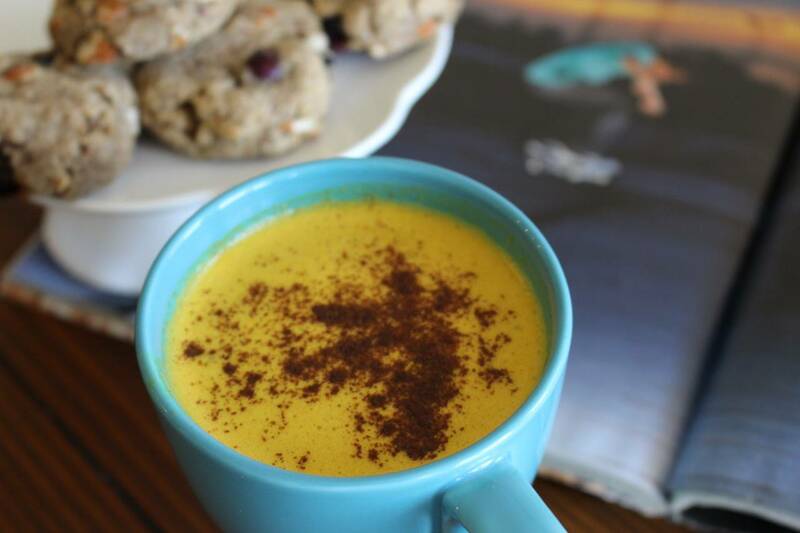 However, this recipe doesn’t just stop at the cookies; true to Chad’s desires, the other half of this recipe is a naturally-sweetened turmeric latte, which uses the power of turmeric and ginger to fight inflammation and boost antioxidants. Remove the pits from your dates and pack ½ cup into a glass jar. Heat or boil 1 cup of water and pour into the glass jar and let the dates soak for 10-15 minutes. Strain the water from the jar, but hang onto it. Add the softened dates to a blender and blend with ¼ – ½ cup of the strained water until a smooth paste is formed. Paste should be thin, but not watery. Grab that ripe banana and mash it up with a fork until it’s a gooey mush. The fewer lumps, the better. 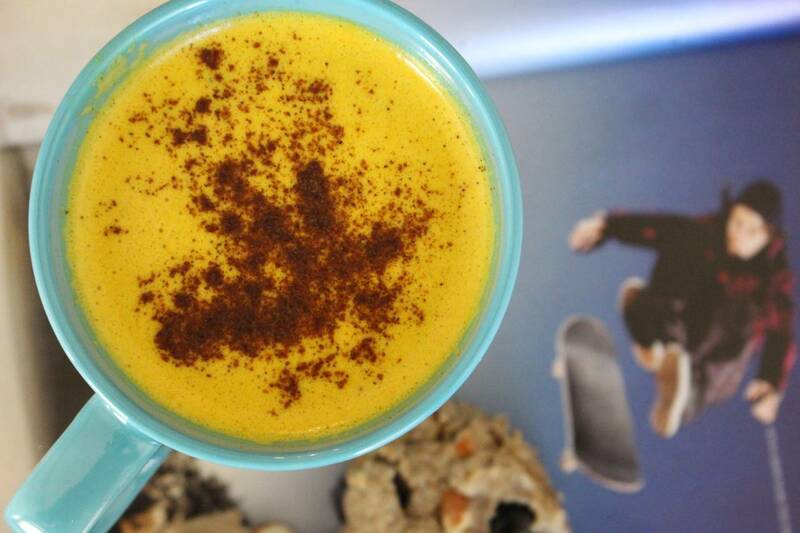 Keep in mind that you want a truly ripe banana for this recipe (dark spots are ideal, no green). Throw that banana mush into a large mixing bowl with the coconut oil (NOT melted), the almond butter, the date paste and the vanilla. Using a fork or a whisk, mix it all up until it’s a consistent mix and there are no lumps or discernible separate ingredients. In a separate mixing bowl, use a whisk or fork to mix up the almond flour, coconut flour, baking soda, flax seed and salt. Once that’s mixed up, start folding it into the almond butter/banana mixture little by little (try about ½ a cup of flour mixture at a time) until it’s all mixed in and you have a sticky dough. Next toss in the blueberries and almonds and mix them in. In a small sauce pan or pot, warm the almond milk on medium heat (do not boil). Stir in the coconut oil and turmeric until the coconut oil is melted and the ingredients are mixed evenly. Remove the pan and pour the mixture into a blender along with the cinnamon, ginger and date paste. Blend for 10-15 seconds or until it is an even mix. Garnish with cinnamon or cardamom and enjoy! From Compton to Barcelona and back—meet Illegal Civ’s Aramis Hudson.